METREL three-phase transformers are suitable for connection to either delta or star connected incoming power sources or loads. They are always star connected and have a neutral connection accessible. A common shaft rotates all output voltage sliders in parallel. 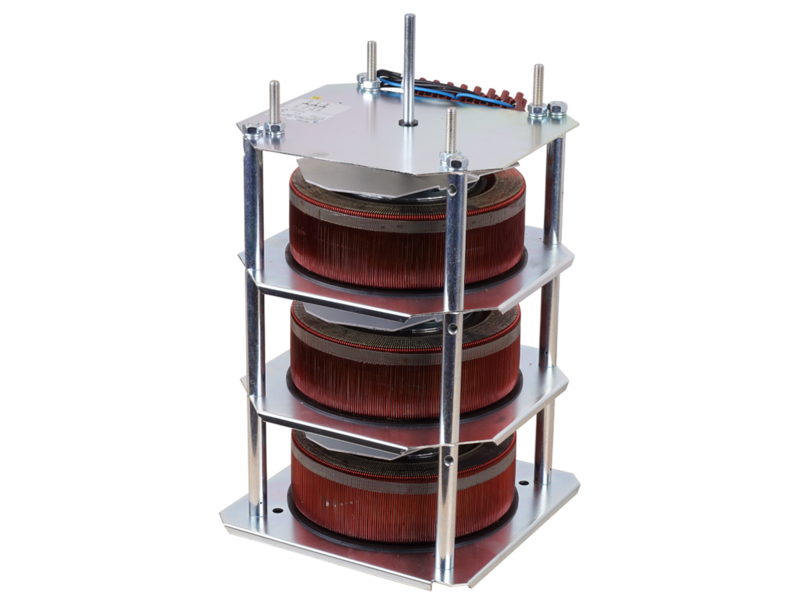 3-phase METREL transformers with 3-wire connection to 3-phase supply system can be used to feed 3-wire, 3-phase balanced loads. In this case the common connection (or “virtual neutral”) of the METREL unit should not be used. Less than 10% of rated current of variable transformers flowing into virtual neutral would keep unbalance of three-phase output in reasonable limits. With a three phase, 4-wire system input, the system neutral should be solidly connected to the common or “neutral” point of the METREL unit. This will prevent neutral shift and possible damage or failure of the unit. Full-range voltage control cannot be obtained from a three-phase METREL unit consisting of three single-phase units connected in closed delta. Outside the factory, it is not practical to convert multiple single-phase models to balanced three-phase applications because of associated mechanical problems.